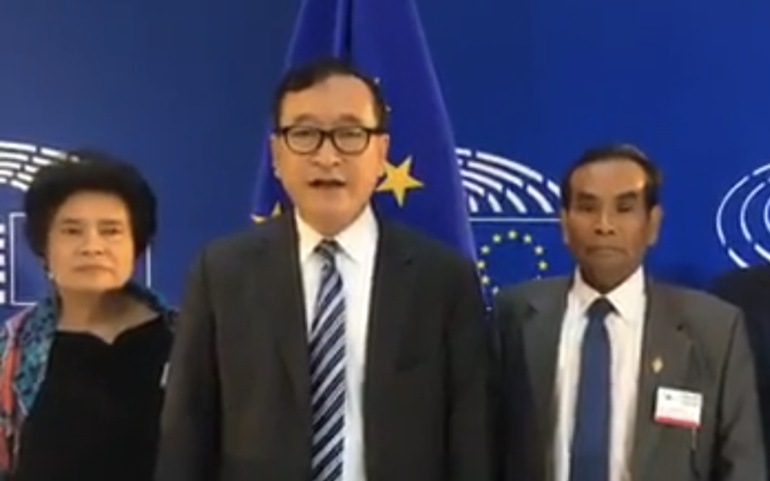 On behalf of the Cambodia National Rescue Party (CNRP), I would like to express to the European Union – meaning the European Parliament, the European Commission and all the member states – my deep gratitude for their effort and determination to help defend human rights and restore democracy in Cambodia. Even though the CNRP was arbitrarily dissolved by the Hun Sen government in November 2017 to prevent it from participating in the July 2018 election, it continues to represent the will of at least half of the Cambodian people, a fact that cannot be hidden by Cambodia’s sad return to a one-party system following last year’s fake poll. On behalf of the Cambodian citizens from all walks of life that the CNRP continues to represent, I would like to confirm to the European Union that the response it is considering to address the totalitarian drift in Cambodia – namely a suspension of the EBA programme – is acceptable and appropriate in our eyes. Firstly, we condemn Mr Hun Sen’s holding the Cambodian people hostage as a way to blackmail the European Union into turning a blind eye to his ever harsher political repression with increasingly serious human rights violations. Secondly, we would like all friends of Cambodia to know that the Cambodian people have been suffering for decades under the authoritarian Hun Sen regime, characterised by its systemic corruption and its destructive policies as evidenced by the suffering caused by land grabbing and deforestation. Finally, we are willing and prepared to temporarily endure some additional hardship possibly associated with a suspension of the EBA programme because we can see a better future for ourselves and our children with the restoration of democracy. Cambodians continue to believe in the possibility of better governance, thanks to the effective action from the world’s community of democratic nations in general, and the European Union in particular.